Welcome home! 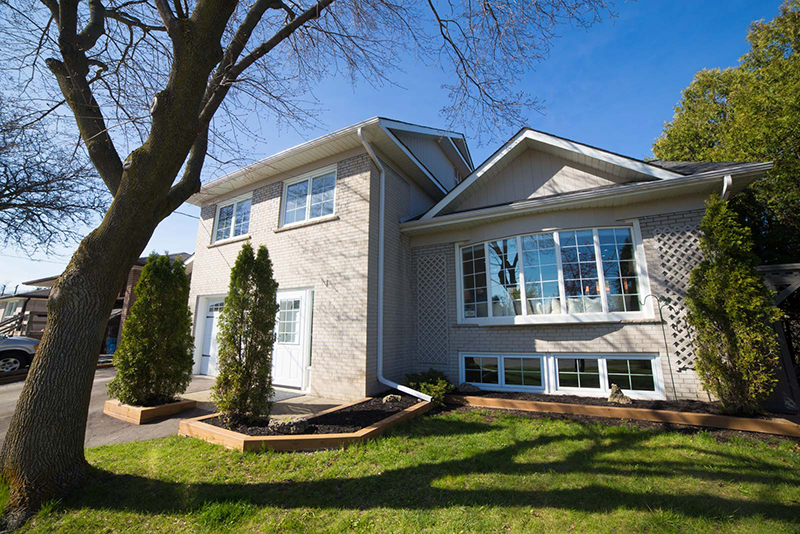 Breathtaking renovated home next to beautiful Beaumonde Heights Park & backing onto a picturesque ravine/river. This three bedrooms/three full bathrooms, detached home has unbelievable cathedral ceilings with a huge skylight, pot lights & a bay window. Ikea kitchen with granite countertops, stainless steel appliances, porcelain sink, large pantry & a center island. Master bedroom features an unbelievable dressing room with closets galore, ensuite bath with oversized soaker tub & water closet. Features include hydronic in-floor heating on main/lower level, 200 amp service, 65 by 122 foot lot, spray foam insulated main/lower level, gas fireplace with unbelievable floor to ceiling stonework, two new ductless air conditioning units, stunning sunroom overlooking the very private pool sized fenced backyard, newer roof/shingles, retaining wall at back of property, wrap around garden shed/rear deck, double wide private driveway & main deck. Just move in and enjoy!